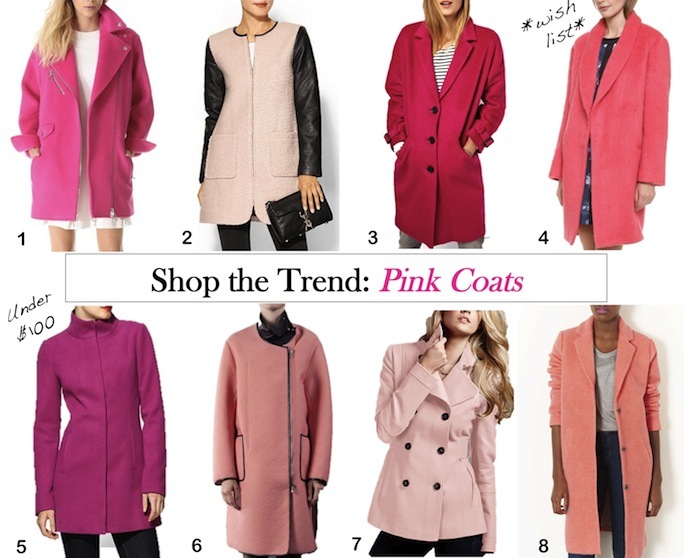 It's official, pink coats are trending this fall! I'm not usually a candy colored type of gal, but lately pink fashions have become a lot less Toddler's & Tiaras and a lot more "Gwen Stefani goes to town". Pink outerwear was all over the Fall/Winter 2013 runways, favorites include: Paul Smith's fuchsia tailored coats, Celine's ballerina pink overcoats, Carven's oversized cotton candy color creations, and Simone Rocha's modern yet feminine baby pink fashions. 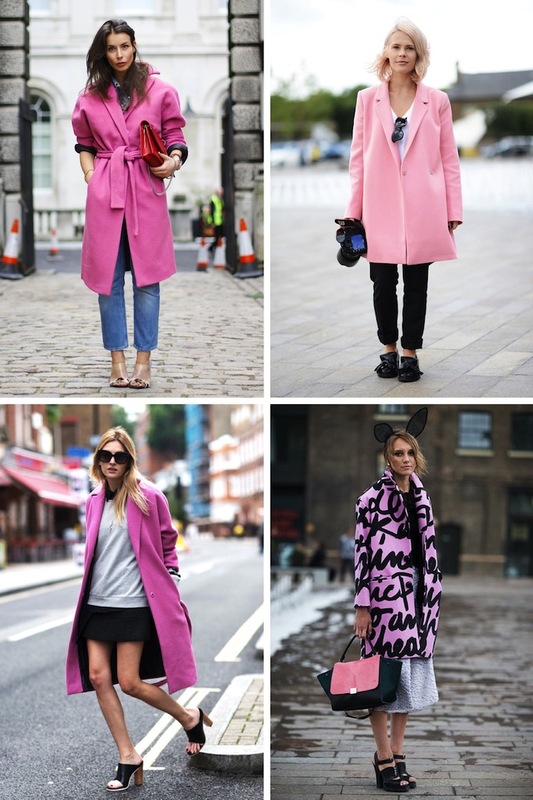 A Portable Package blogger caught the eye and the lens in a laid back but sophisticated belted pink coat. Pale pink hair makes this photographer's soft pink coat look tres cool. Similar style here. LFW has to be one of the most appropriate places to wear bunny ears and a graffiti-esque punk pink coat. Camille Charriere makes a statement by using her outerwear to add a pop of color to an otherwise black and grey outfit. Similar coat here. I am loving the pink everywhere! So pretty! My faves are #1 and #8.
yes, yes and yes- count me in! LOVE this trend. I'm generally NOT a big pink fan, but I can totally see myself in 2 or 8. Great choices! it's such a pretty trend! great post!